Create a moving work-surface that easily adjusts to the position and angle that you need. For reading, writting and typing - individually or all together. Perfect for combining reading, writting and typing. Gain easy access to the keyboard by sliding documents up, then sliding them down for reading and writing. Fits keyboards up to 46cm wide. 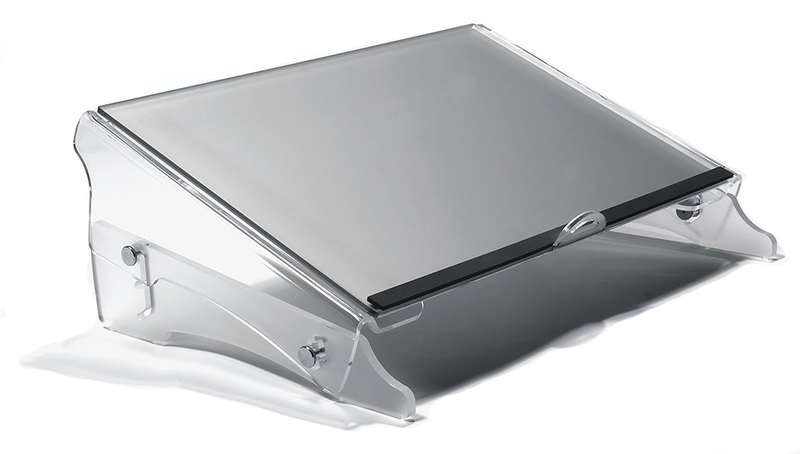 The Clear Slope Pro is a multi functional copy holder, reading and writing slope. With 13 angle adjustments you will be sure to find a comfortable position, no matter what the task. 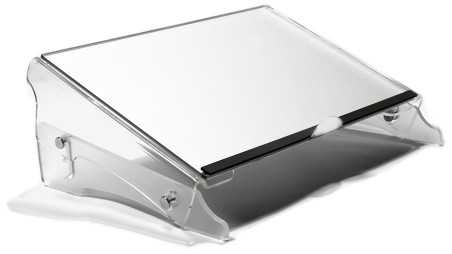 Multi-functional, multi-adjustable reading and writing slope.